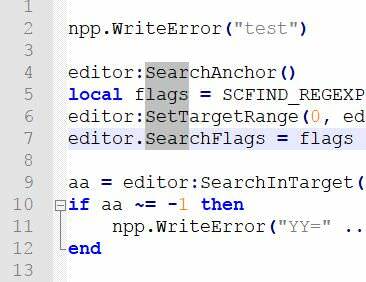 I use Alt+left key and drag the mouse down to create a vertical line on notepad++. When I let go of the mouse why won’t the line stay there…lolol. Couple screen shots attached in case my explanation was as inept as I feel. I must be getting (terribly) old. Thanks everyone. Are you trying to draw a line or select a block of text? Alt-drag is to start a block select. The alt+left and drag the mouse selects some text in column mode, see https://notepad-plus-plus.org/features/column-mode-editing.html . It is not a line drawing facility. If you select an area that is zero characters wide then you have selected nothing, but a flashing cursor should stay on the vertical area that has been selected, allowing you to enter the same character on each line, or to delete characters on each line. I find I have to be careful with the mouse when doing column mode selections. Sometimes as I lift my finger off of the mouse (i.e. to end the click) I also move the mouse and so the wrong area gets selected. P.S. I also have a an all in one question in regards to site building, code layout and webhosting. Any advice on where would be a friendly place to ask ? You can get vertical lines by using vertical bar (|) or exclamation point (!) or even the letter I (I) or the digit one (1). By using column mode (i.e. the alt plus drag) you can select a zero-width area as high as desired. Then typing a single character will enter that character on every line that the selection spans. vertical line at a specific column can be displayed. You talking about a great feature in a great text editor: QEdit. Qedit is, in my book, the greatest text editor of all time. It was the darling of the 1990s. It was the Memo editor of choice in dBaseIII+. Exception: Microsoft. M$ did their best (worst, actually) to kill, or at least undermine, QEdit. Alas! The command prompt QEdit is 16-bit only. I keep an old PC with 32-bit Windows just to run 16-bit legacy software apps that are still very useful. Qedit can draw all kinds of rectangular shapes and lines. It simply prints on screen the corresponding ASCII characters. 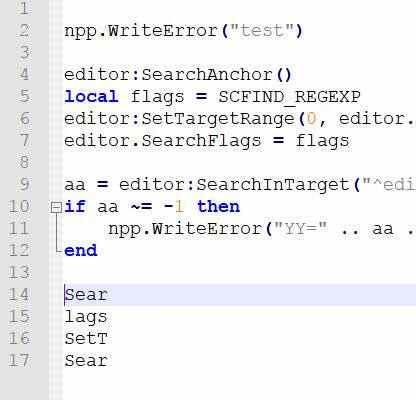 You can do it manually in Npp, but it is extremely tedious (via Alt+numeric pad). It would be fairly easy to implement a line-drawing function in Notepad++ similar to that great function in the Q editor. Here is a screenshot of lines and boxes drawn in QEdit. The design looks quite complex, but the process is very easy (after you learn the feature!) It represents also a great programming solution for menuing at the command prompt. Terrible post editor here!!! Edit allowed only within 180 seconds!!! New post allowed only after 1200 seconds!!! The answer @AdrianHHH gave is spot-on. I’m just going to add a couple of things to think about. Wherever you ‘draw’ a vertical line, everything to the left of it gets padded with spaces. That’s fine if you’re done with your text file and you don’t want to edit it again. Once you start editing, you have to delete/add spaces to get the vertical bars to line up again. At that point you’re starting to get into ASCII art. If you’re going to be editing your text file a lot, you’re in for a world of hurt. And THAT, my friend, is why people don’t draw vertical lines in their text files. Now, what you saying is playing sane to the doctors’ gathering. Draw ASCII characters — one at a time — via Alt+Numricpad-3-character-Char$ — to just draw one character of a box! IMPORTANT : Although text, in reverse video, does not seem correctly aligned, once you paste the text in N++, it should be OK !! The vertical lines in your box are not continuous as in the original created in QEdit. It’s like a translation of Guy de Maupassant compared to the original. Ça va?